I wanted to make a card using my new Hero Arts What's Cooking set and I decided to also play along with the sketch over at Card Patterns. 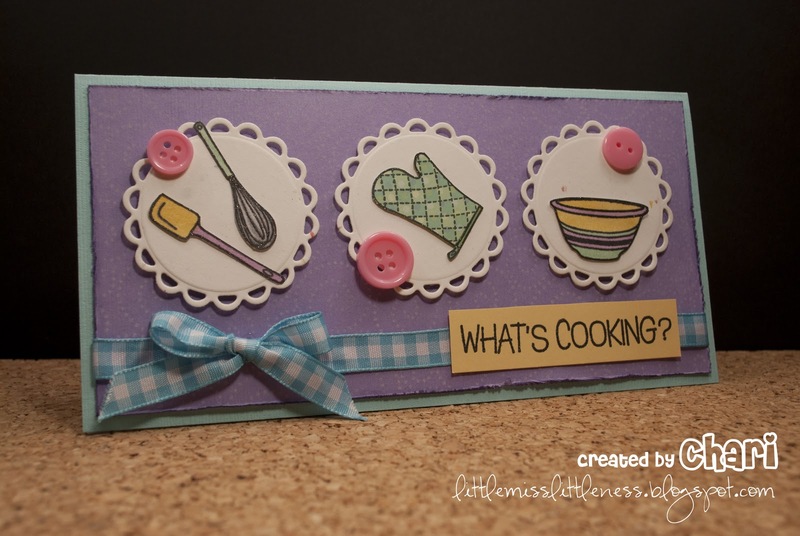 I found this cute plaid easter ribbon at Michael's and thought it would be a perfect compliment for a cooking themed card. I colored the stamps in with copics and cut the circles out with lacey circles nestabilities dies. I lightly stamped the purple cardstock with Hero Arts Magical Background stamp and Colorbox Chalk Alabaster ink and distressed the edges using a distressing tool and Dusty Concord Distress Ink. I finished off the card by tracing over the sentiment and around the other stamps with a Copic 'Atyou Spica' black glitter pen. Thanks for stopping by my blog today! Have a crafty weekend! absolutely a-dorable! 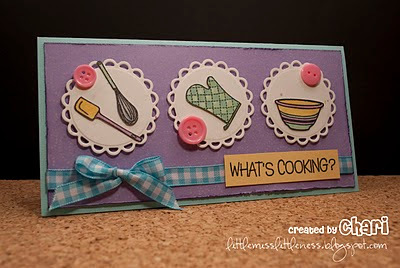 Love the cookin' theme! 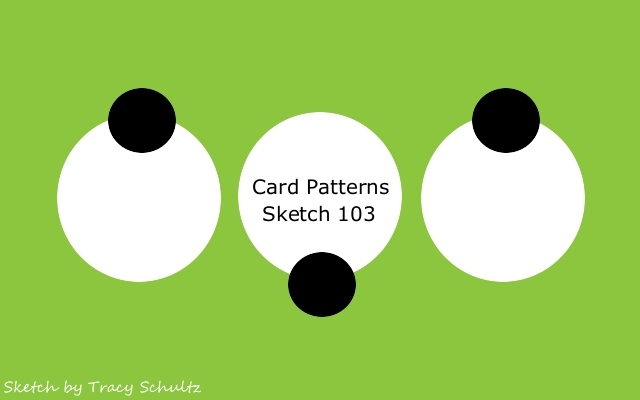 Thanks for joining us in the Card Patterns 2nd Anniversary Festivities! What a fun card! I love to cook so this is right up my alley. So glad you could help Card Patterns celebrate our 2nd anniversary! This is so sweet, Chari! I love that Hero Arts set, too. It's been on my wishlist forever. I really should pick it up one of these days! Great job.